I welcome the opportunity to assist any athlete in realizing their potential and achieving their goal of reaching their unique finish line. I am all to familiar with the stress and tight time schedules everyone experiences in their day to day lives. Don't let anything hold you back in reaching you're quest of crossing you're own finish line .
" Anything is possible "
Aloha , My journey into IRONMAN started over 25 years ago in attempt to remain in shape. 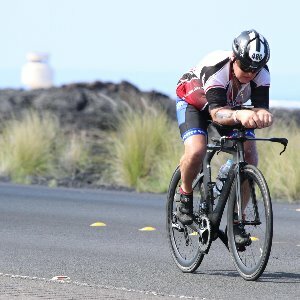 It has developed into a passion, my experience is extremely diverse having been involved in multi-sport endurance racing encompassing experiences including 18 IRONMAN finishes inclusive of Kona 2017. I have a vast knowledge of this sport having worked with multiple coaches, training with and coaching a diverse array of athletes of all levels who have inspired me to share the sport I love and continue to promote. Success. Coach Robert Radecki Jr has been notified of your message.